Business Excerpt: Franklin Loan Center is the largest independent mortgage lender in the Coachella Valley, CA with locations across Southern California with opportunities for branches in Washington, Oregon, Arizona, New Mexico, Nevada, Colorado, Maryland, Pennsylvania. Business Excerpt: Pinnacle Bank, serving northeast Georgia since 1934, is expanding the mortgage division and is currently seeking experienced Mortgage Operations team members. We are looking for a successful, professional individual who is looking for a long term career opportunity as we grow our operation. Pinnacle Bank is an Equal Opportunity Employer and welcomes all qualified applicants. It is the policy of Pinnacle Bank to consider applicants without regard to race, color, religion, creed, national origin, gender, disability, marital or veteran status, age or any other legally protected status. Qualified applicants should complete an application for employment at Pinnacle’s online Career Center. Business Excerpt: Gateway Mortgage Group is a private, single-owner lender, direct to Fannie, Freddie, and Ginnie with 165 branches in 41 states. We service over 97% of our loans keeping our customers for life and offering our sales people residual service bonuses. Business Excerpt: Benchmark Mortgage is a nationwide lender headquartered near Dallas, TX. For nearly two decades, we have been building a dynamic lending community. Our entire business is based on the preservation and strengthening of present and future relationships. The power of Creativity and Innovation is our edge, and sets us apart in the mortgage market. Business Excerpt: Business is ALWAYS Personal at Finance of America Mortgage! 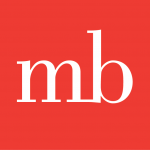 Business Excerpt: With over 100 years of service and approximately $19 billion in assets, MB has the stability and strength to meet the ever-changing needs of the mortgage marketplace. MB’s talented mortgage team acts as a powerful resource by leveraging our strong banking foundation and the flexibility of a mortgage lending network. Member FDIC. Equal Housing Lender. NMLS #401467.
Business Excerpt: Direct Mortgage Loans is a licensed direct lender in 22 states. Our compliance, marketing, underwriting, closing, post-closing, secondary, and leadership teams are headquartered in our Hunt Valley, MD location. DML has funded over 5,500 loans since 2008. Our staff is respected for customer experience, integrity, and proactive communication. We supporte The Special Operations Warrior Foundation and House of Ruth, and are honored as one of Baltimore’s Top Workplaces by The Baltimore Sun.